Back with the next Spider-Man. 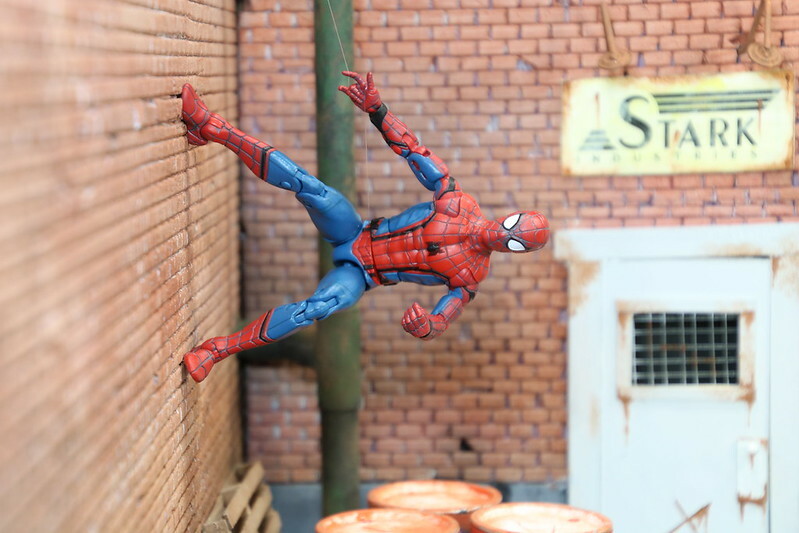 Yesterday we took a look at the homemade suit Spider-Man. Today we will take a look at the suit that Tony Stark gave to Peter Parker. I am not a fan of the wings. They fall off too easily, and they are too short in width to allow SM to fly. This figure is similar, but not the same as the Spider-Man we got in the Civil War 3-pack back when Civil War came out. This suit has more texture on the suit, and the paint apps are actually better. He comes equipped with the web wings that we saw from the very first trailer with Spider-Man flying over a helicopter. And in the movie, that scene was even better with all of the context behind it. He comes with two sets of hands, which is pretty typical for Spider-Man. One set of fists, and one set of web-flinging hands. 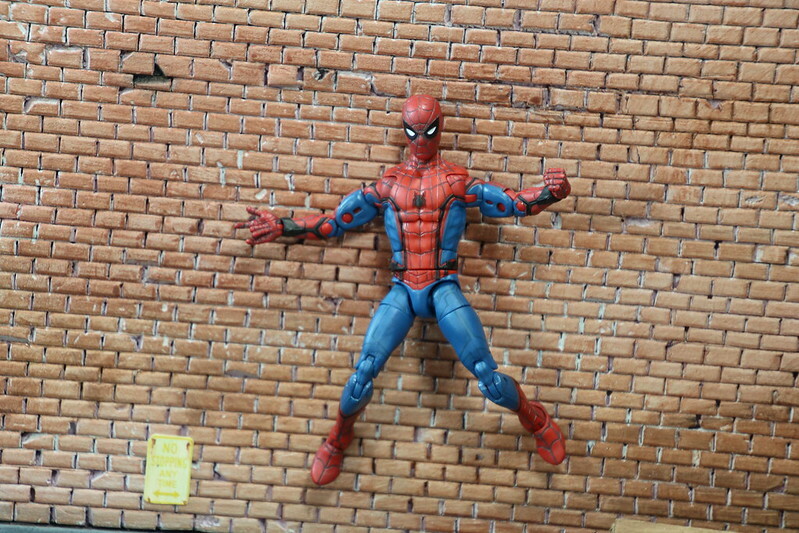 This version of Spider-Man has a lot more articulation than the Homemade Suit version. He has the super-jointed shoulders that allow for some very dynamic poses. In addition, he has an alternate head that has squinty eyes. His eyes in the movie were a character of their own. I really think they took a cue from Deadpool and allowed Spider-Man to wear his mask much more and let his eyes do a lot of the talking. Very well done. If you want an unmasked version, you have to go hunt down the Spider-Man/Iron Man 2-pack to get Tom Holland’s head. Comparing the two Spider-Men for the movie, they are very similar in height…which is what we would want. It is funny how the optical illusion of the two figures alone make the Homemade suit version look smaller. 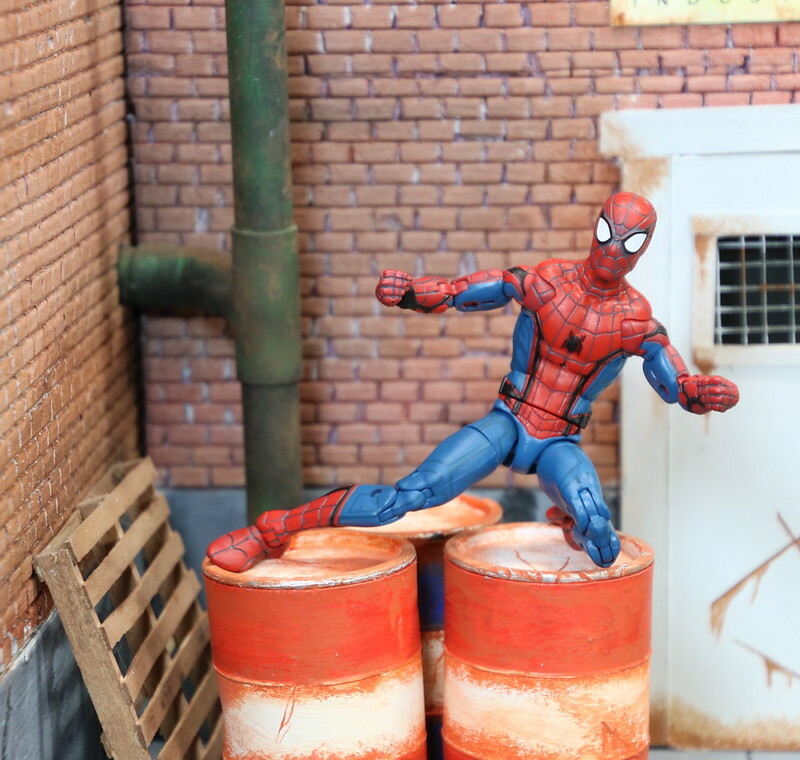 This entry was posted on Wednesday, July 12th, 2017 at 12:31 pm	and tagged with Hasbro, Homecoming, Legends, live action, Marvel, Marvel Legends, movie, movie figure, Peter Parker, Spider-Man, Spider-Man Homecoming, Tom Holland, Toy photography, toy review and posted in Action Figures, Comic Books, Comics, Marvel, Movies, Toys. You can follow any responses to this entry through the RSS 2.0 feed.